Recently I took part in a Plastic Patrol session in Gloucester Docks. 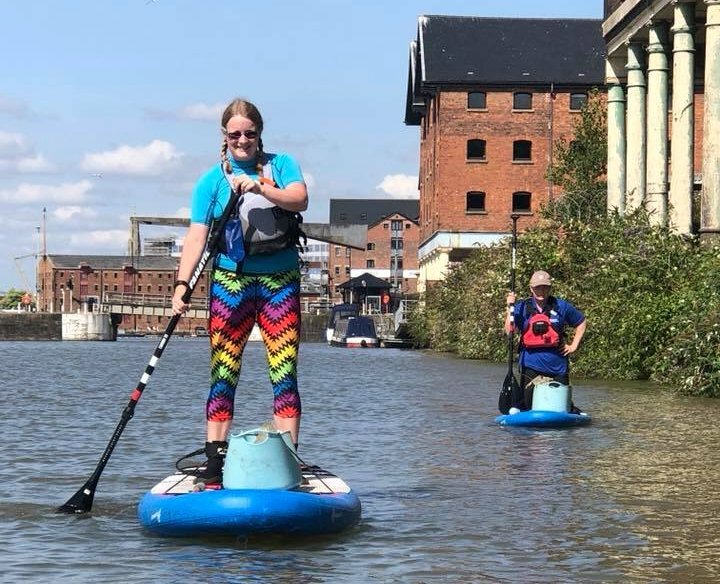 The idea is simple - after a bit of stand up paddleboard tuition, you get to float around the waterways armed with a litter grabber and a bucket. I joined the final session of the day, and was actually quite surprised to see how (relatively) little rubbish had been collected so far - apparently last year it was much worse. I was not surprised to see the obligatory rusty old bike that someone had fished out.